HP Envy x2 vs. Microsoft Surface Go: Which should you buy? We're a virtual company made up of tech experts from across the globe. We live and breathe Windows, and use nearly every device that comes out to find the best budget picks for you. Microsoft injected some much-needed fun back into Windows 10 with the release of the Surface Go. Sporting the latest internals, it's possible to upgrade to Windows 10 Home and use it as a normal PC. It's just let down by its small size, compared to 13-inch tablets. Not limited to Windows 10 S.
Excellent display and stylus support. HP Envy x2 is the first Windows tablet to come rocking a Snapdragon ARM processor that does most things right. You'll love the all-day battery life, LTE connectivity, and instant on just like your smartphone. That is if you can overlook the expensive price tag using an ARM processor. When you need something that has everything in one package, including the ability to upgrade to normal Windows and install all the software you want, go with the Surface. The HP Envy x2 is best for LTE connectivity and when you don't need to use any apps that aren't available in the Microsoft Store. Both the Surface Go and HP Envy x2 look stunning. HP has matched Microsoft's Surface design and then some. The main difference between the two is the weight, with the Surface Go being almost a full pound lighter. That doesn't seem much on paper, but when you're holding a tablet for an hour or so, it makes all the difference. That said, the HP Envy x2 isn't heavy by any means. Both have kickstands, and while the Surface Go has its stand integrated into the chassis itself, you need to have the keyboard cover attached to the HP Envy x2 in order to have it sit up for media consumption. Both devices have a webcam with support for Windows Hello and USB for charge and hooking up compatible accessories. 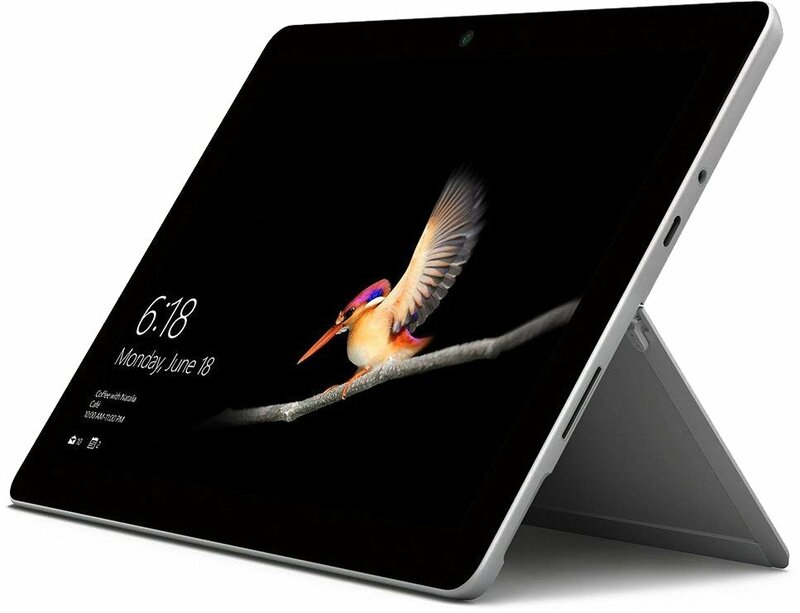 If you find yourself frequently on the move without stable Wi-Fi connections, the Envy x2 is the only true option if you seek 4G LTE support — Microsoft is expected to add an LTE version of the Surface Go at some point in the future. When it comes to the keyboard, you'll need to try both in person to find out which you prefer. Just don't buy the Intel HP Envy x2 because HP managed to make the keyboard worse. The two tablets are aimed at portable use, but they have their own strengths in this area that sets them apart. Take the HP Envy x2, which comes with an ARM processor — the same Snapdragon 835 you'd find in smartphones. There's an Intel version available with a zippy Core i5, while the Surface Go is lumbered with the Pentium Gold. The latter isn't a slow CPU, but it doesn't offer quite the same levels of efficiency than that of the Snapdragon, nor does it yet have LTE for use outside of your network boundaries. Both tablets have great displays and solid capacity options. There's even the choice of up to 8GB of RAM, which is handy when you want to run more than a single app. It really comes town to the price and if you need LTE. If you don't care for LTE and need to run your own software, go with the Surface Go. 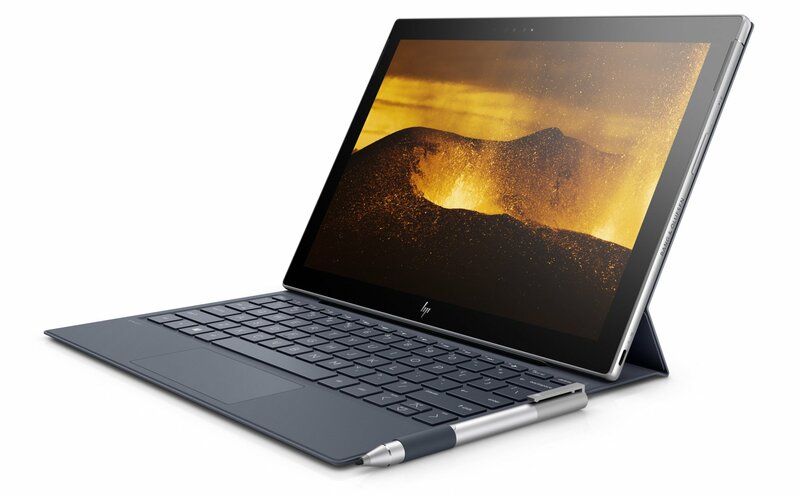 If you want to be always connected, the HP Envy x2 is a solid option. Just don't go with the Intel-powered Envy x2. Microsoft's Surface line of products is meant to be a demonstration of what Windows can do and offer partners a base to work with. The Surface Go is the company's latest iteration of the affordable tablet running Windows 10 S. It's probably the most fun you'll have with Windows on the go. Portable computing is now fun. The Surface Go comes with a killer display, support for Microsoft's excellent stylus, and enough power to get you through the day. HP decided to do something different by including a Snapdragon CPU inside the new HP Envy x2. There's an Intel version available, but you'll be sacrificing a lot for the extra horsepower. The 4G LTE with the ARM processor makes for quite the portable tablet that just keeps on going after a busy day. If you want to save some money and get more for your buck, go with the Surface. Always connected and ready to go. The HP Envy x2 with ARM is a window into the future, running Windows 10 S with a mobile processor for extended battery life and connectivity.